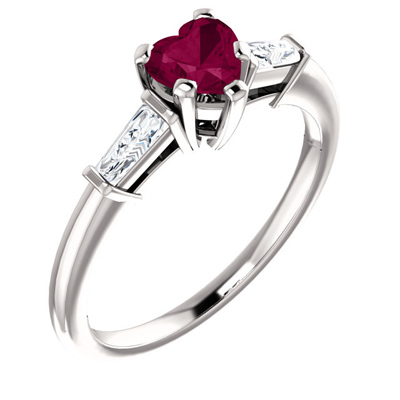 Heart-shaped garnet gemstone ring set in 14k white gold with baguette-cut cubic zirconia side stones. Also available in 14k yellow gold, rose gold, or sterling silver, shown below. This romantic ring combines the timeless red sparkle of garnet with sparkling cubic zirconia to create a sweet and sophisticated symbol of your affection. 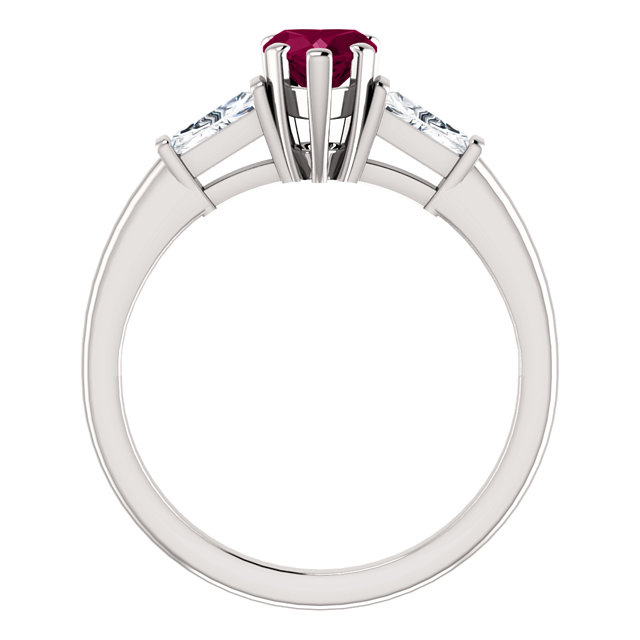 A heart-shaped garnet, 5mm high, serves as the centerpiece of this style, while two baguette-cut cubic zirconia stones accent it on each side. Set in gleaming 14K white gold, these stones cooperate to form a design that will communicate your love year after year, making it the ideal gift for the one who makes your heart glow. We guarantee our Heart-Shaped Garnet and Baguette Ring in 14K White Gold to be high quality, authentic jewelry, as described above.